Neustar has announced the fourth auction of premium .nyc domain names aimed at the travel and tourism sector will take place with Sedo handling the auction until 10 May. 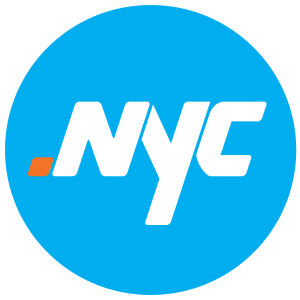 This will give New Yorkers in the City’s five boroughs a curated selection of twenty-five premium domain names in the .nyc new generic top level domain (new gTLD). These rare and premium domain names are associated with the travel, hospitality and tourism industry, giving New York travel agencies, hotels, airlines, entrepreneurs, startups and businesses access to some of the most in demand digital real estate in the world. The City of New York has long been the epicentre of fashion, technology and culture, welcoming over 60 million visitors who spent $43 billion last year alone. Travel and tourism activity supports over 383,000 jobs and generates nearly $25 billion in wages and salaries for working New Yorkers. Travel benefits the City immensely with six out of every ten visitors spending at least one night in the Big Apple. With the launch of .nyc’s premium domain names, the travel and tourism sector can create hyper-personalised marketing campaigns centred on unique and highly targeted domains. New Yorkers will gain exclusive bidding access to the premium domains at 13:00 on 3 May until 13:00 EST on 10 May. As the bidding window is open for eight days, bidders should consider their bidding strategy carefully and be prepared to place their opening bids as soon as the auction opens. The auction will take place entirely online through the official auction partner, Sedo. All bidders should familiarise themselves with all the rules, restrictions and auction details. All of the auction details can be found at Auctions.nyc. “Our visitors and residents have endless opportunities to discover and explore what our city has to offer. We are creating a closer bond between our city’s physical attractions and the city’s digital real estate online. Anyone in the travel and tourism space can now build a closer connection with our residents and visitors with a unique domain name that precisely reflects the link to NYC,” said Fred Dixon, President and CEO, NYC & Company. In keeping with the City’s desire to ensure equitable access to these sought after domain names, the .nyc auctions have been designed to maximise participation, affordability and transparency. Bidding starts at just US$500 for all domains, a very low point of entry for these high-quality domains. This means small businesses, startup founders, organisations and individuals from every borough can participate equally in the auction process, vying for the chance to secure these high-value domains. .nyc was launched in October of 2014 with the support of an innovative group of early adopters and enthusiasts, including Manhattan Borough President Gale A. Brewer and tens of thousands of local business owners, such as Sideways.nyc, Digital.nyc, and StartupHub.nyc, among others. Today, .nyc has become one of the largest and most well utilised of all city-affiliated domains.